Volunteer Today! - Ocala Outreach Foundation Inc.
We are looking for volunteers that we can trust who have big hearts and want to help! In order to keep costs down, we would like to get a network of volunteers that we can call on when we have an event or fundraiser. This is not just a list of people’s name we gather, we want you to be in our NETWORK of like-minded friends and family that want nothing more than to help others. 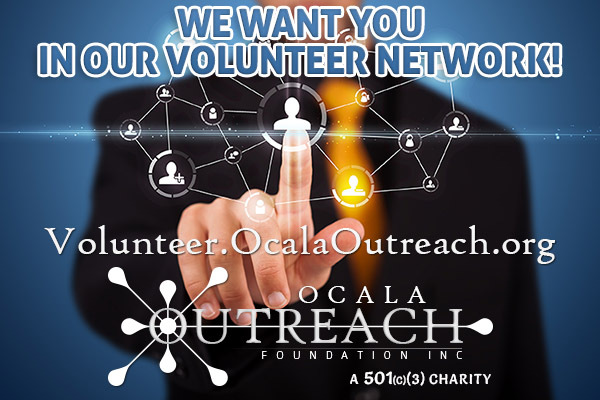 Our volunteers will be a crucial extension of the Board of Directors for the Ocala Outreach Foundation Inc, often representing our charity and our local community. If you feel you would like to help our community then please fill out the form below and send us your information. We certainly thank each and every one of you that sign up. Latinos y Mas raises $600 for Eat Up 2 Help Out Ocala Outreach! Ribs for Kids raises more than $25k!